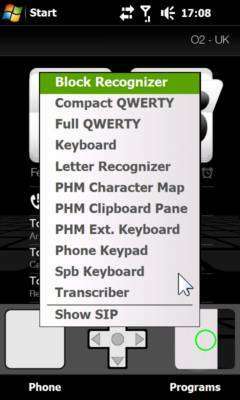 is a freeware windows mobile Soft Input Panel changing utility. Make a shortcut to VJSipSwitchII, and specify command line parameters which match the name of the SIP you want to switch to. Launch the shortcut and your phone will switch to that SIP. This is useful if you want to, for example, always use SPB Keyboard as your default SIP. will switch to SPB Keyboard. If you launch VJSipSwitch II without a command line parameter it will now pop up a menu asking you which SIP to switch to.